Instagram is packed with rainbow quilts--there's something so captivating about a palette full of red, orange, yellow, green, blue and purple! Try your own hand at a rainbow design with our new Color Sphere collection. 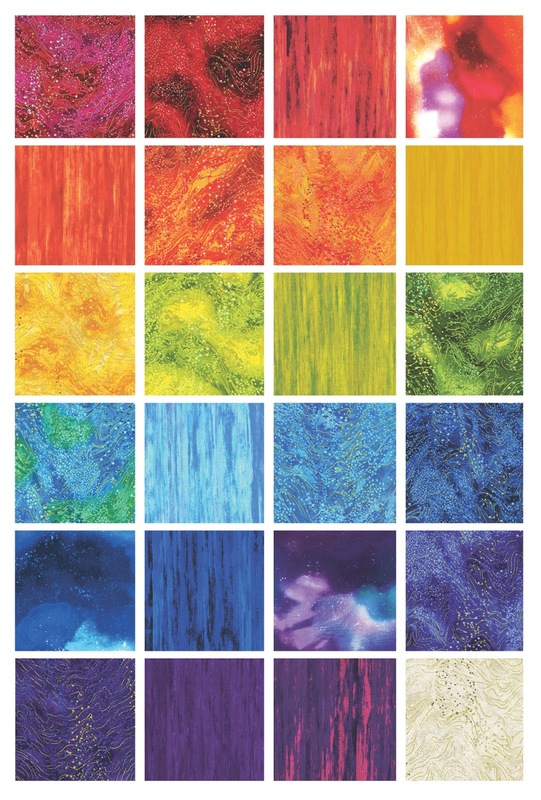 These cool prints are full of painterly stripes and swirls, and each color includes a variety of shades for fantastic depth and texture. And don't forget the metallic gold accents! Ready to sew a rainbow? 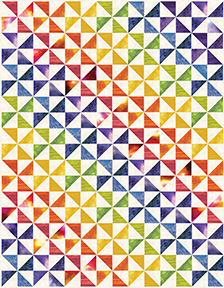 Try our Color Wheel free quilt pattern. Click here to see the entire Color Sphere collection. These fabrics would make super landscape quilts. They're beautiful!